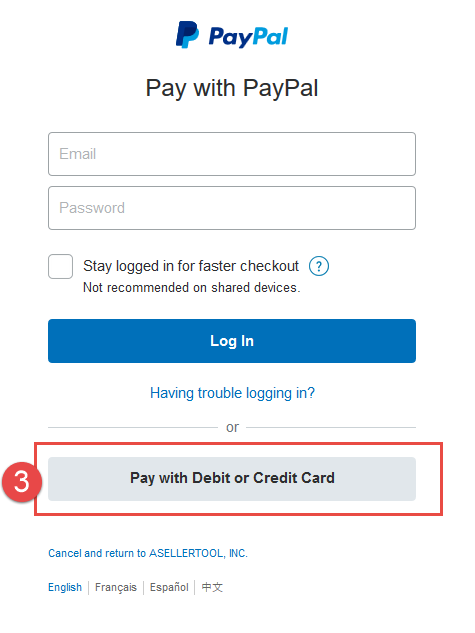 If you do not want to sign up for a subscription or pay with PayPal, we can send you an invoice and you can pay with a credit card. Here is a video to show you how to do it. 1. Let us know whether you need a package or a subscription. If it is a subscription, we need to know your user ID(s), plan name, and how many months. 2. 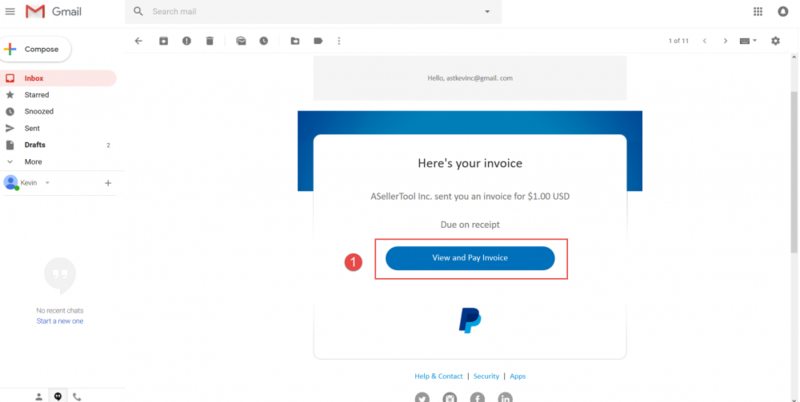 Our staff will send an invoice to your email. 3. 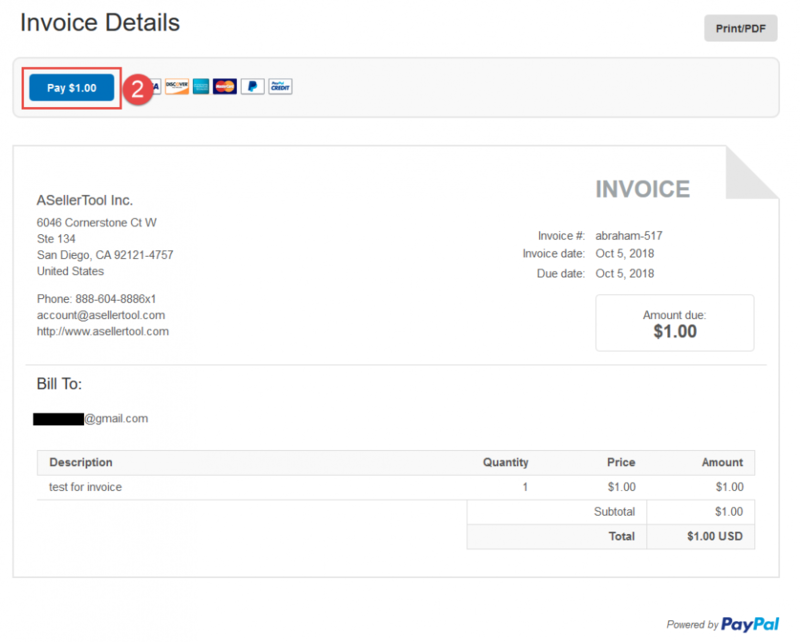 Click View and Pay Invoice (1). 4. Review the invoice detail and click Pay (2). 5. Select Pay with Debit or Credit Card (3) and fill your credit card information. 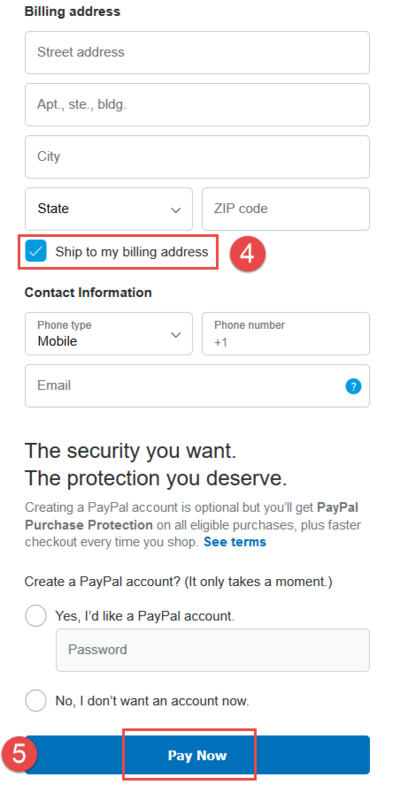 Please make sure you do Not use your PayPal email when filling the form, or PayPal will ask you to login to your PayPal account. 7. Click Pay Now (5) to finish.